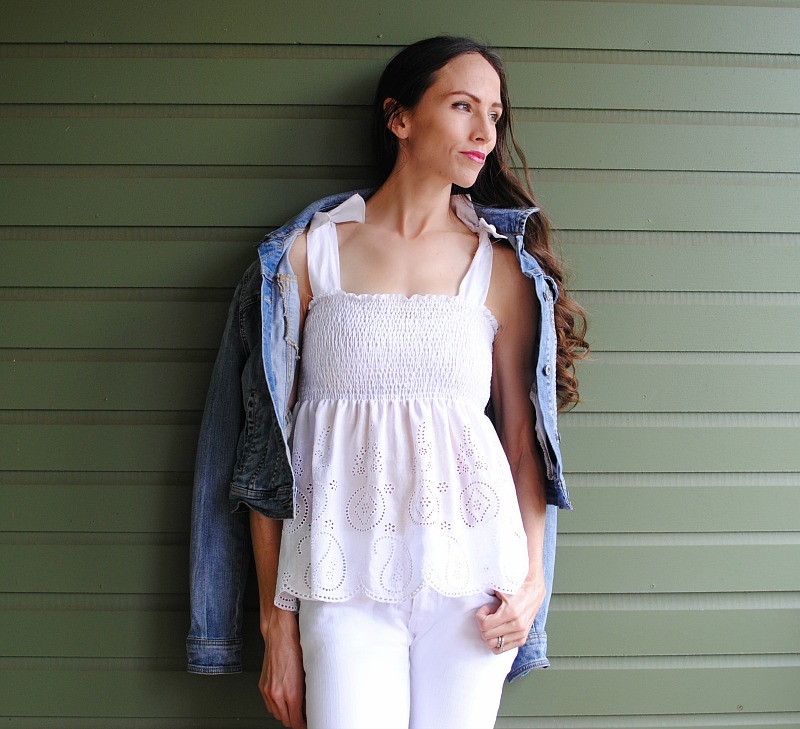 As the weather begins to warm I'm always inspired to start sewing my Spring/Summer projects. For my first look, I wanted to make a top that could easily be paired with a jacket but also transition as a stand alone piece for summer. To create the gathered detail I used a technique called shirring. 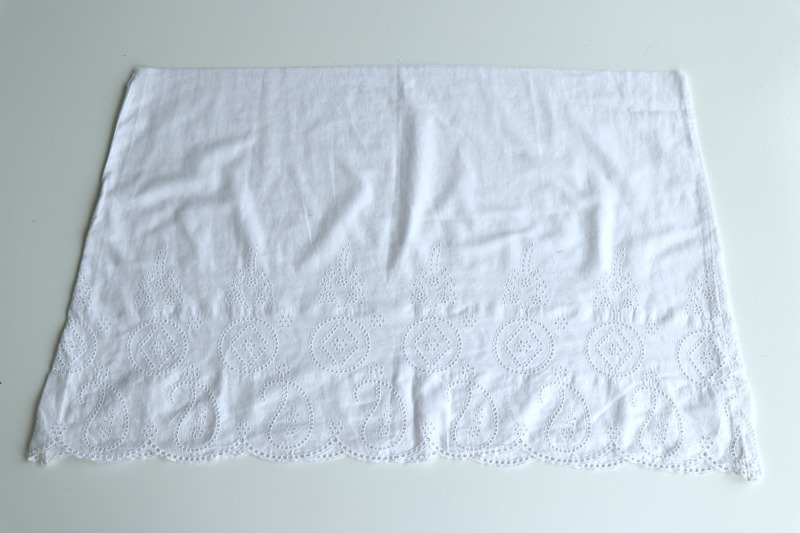 Shirring is two or more rows of gathers used to decorate parts of garments. 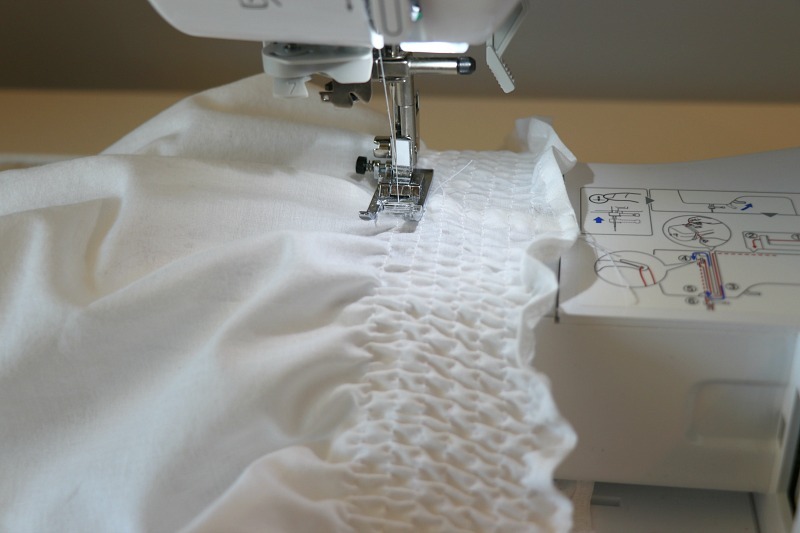 You can do this on a bodice, neckline, and waistline. 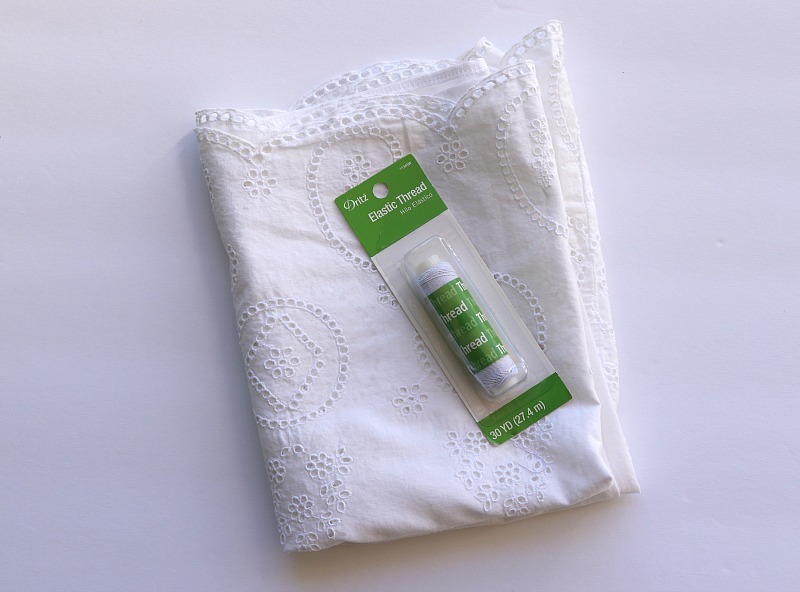 It's a simple technique and all you need is Dritz Elastic Thread. 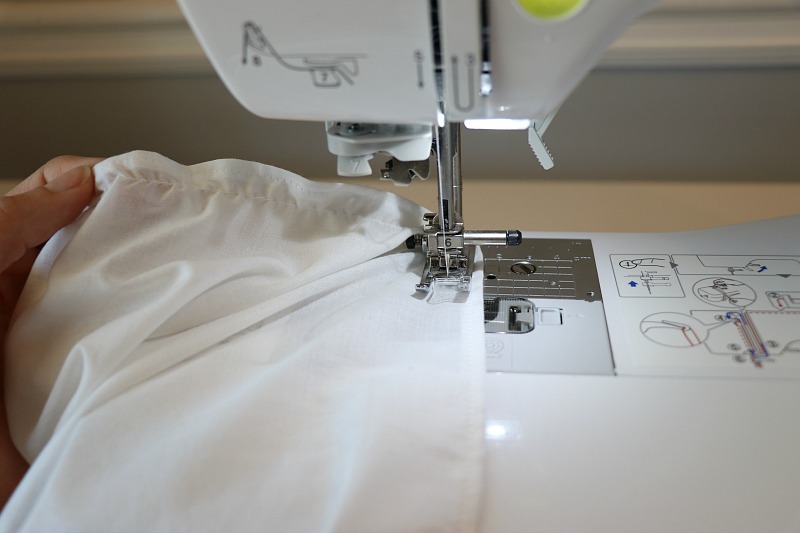 Get the details below on how to make your own Shirred Top. 1 yard light weight fabric: The lighter the fabric the more effective the shirring will be. Try light cottons, chiffon, knits, gauze, etc. I'm using a light cotton material previously from an old skirt. You will only use the elastic thread in the bobbin. Wind the bobbin with the elastic by hand but I did it on my machine and it worked fine. I suggest winding a couple bobbins as you will go through them pretty fast. You will thread the needle with all-purpose thread. Thread the bobbin as you would normal thread. Leave a tail of 2-3" every time you start and finish a row. You will need this to knot the strings once finished. I used a stitch length of 4 which worked well with my material. 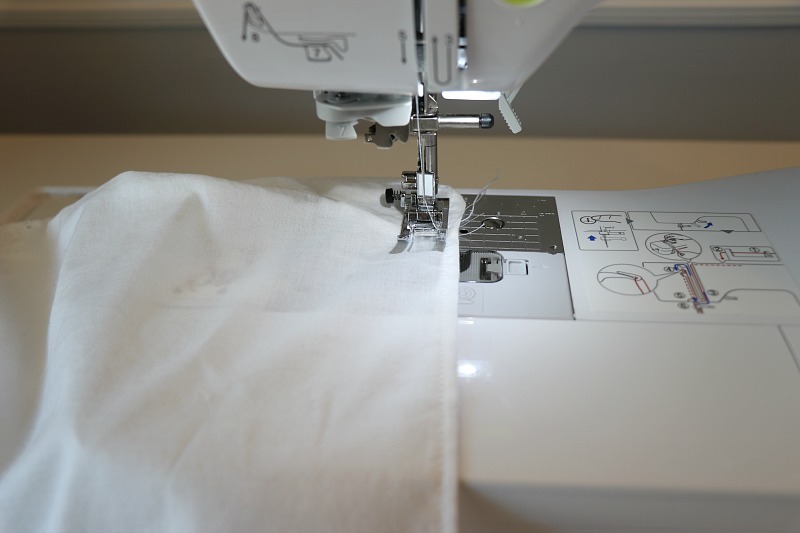 You will want to test out the settings on similar fabric to get the settings right on your machine. 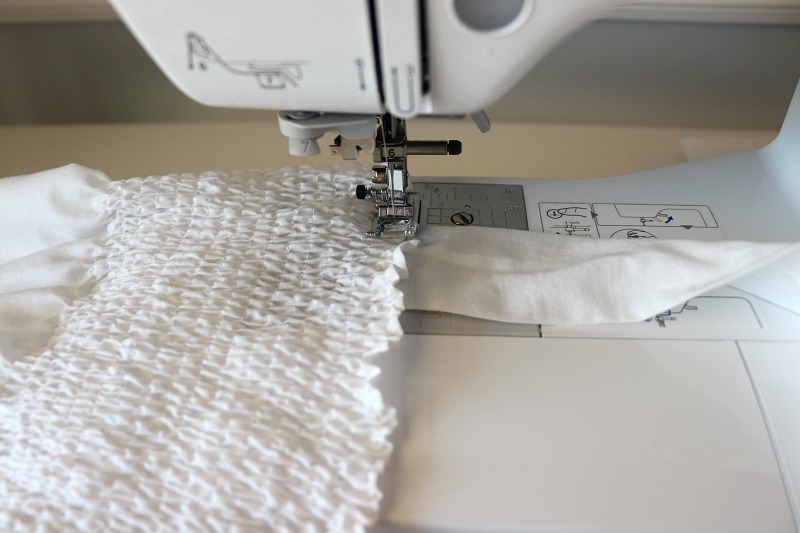 The longer the stitch length the the more effective the shirring. Start with a tube of fabric (the side seams should be sewn at this point right sides together). 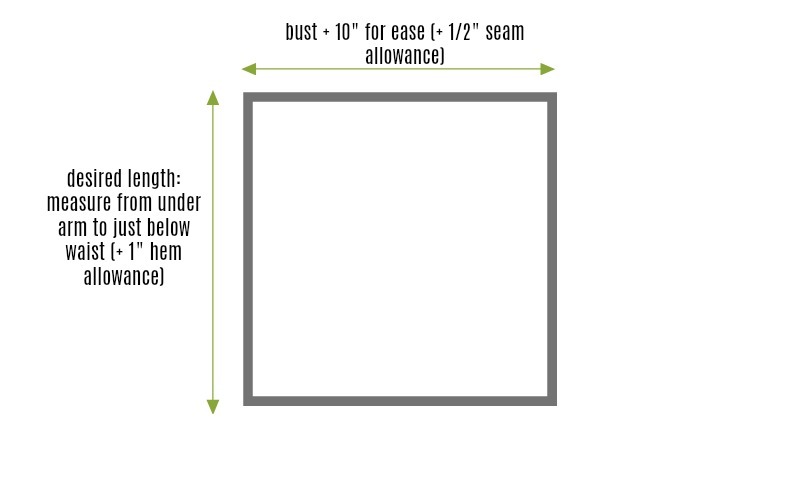 You will want the top to be at least 10" wider than the size of your bust (or final measurement) as it will shrink a lot depending on how many rows you do. 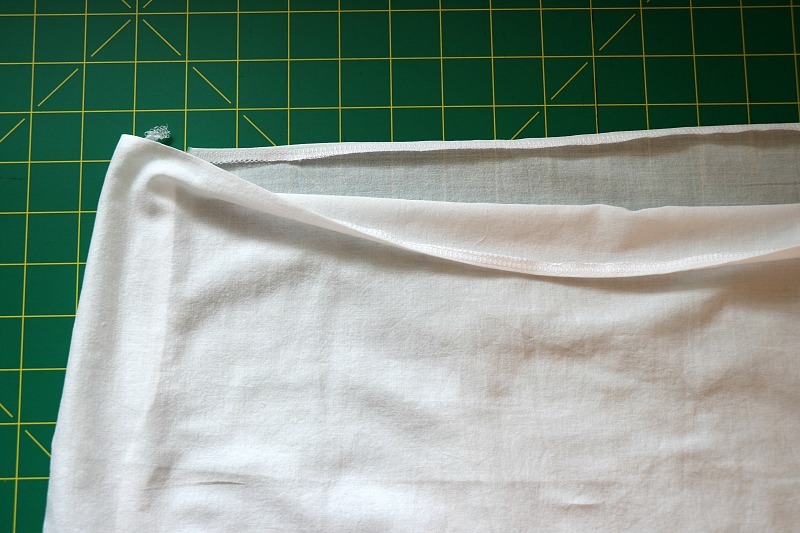 Finish the top and bottom edges with a narrow hem. Start at the side seam right below the top hem stitches. 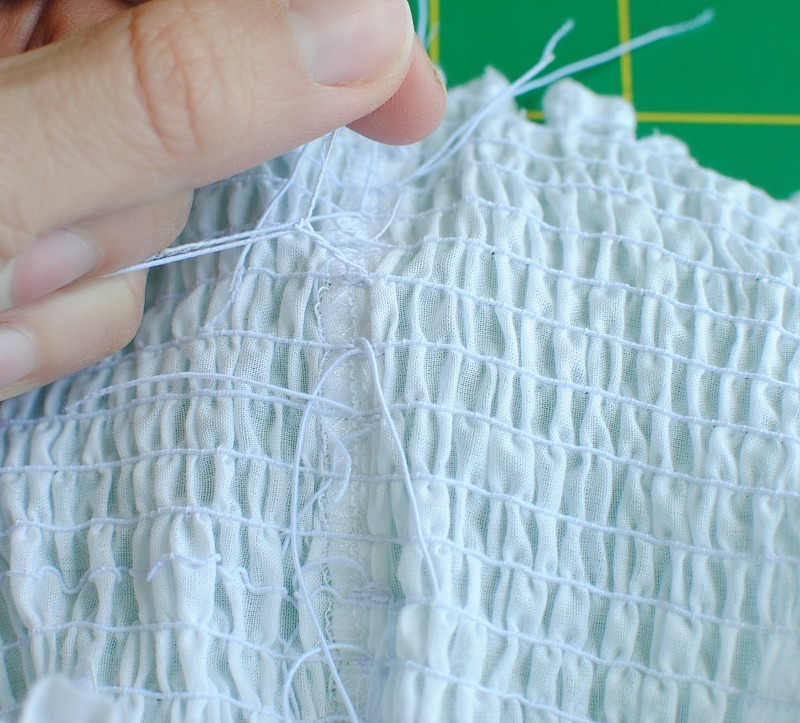 You will topstitch so the elastic thread is on the wrong side of the fabric. You don't back stitch but again just make sure to leave a tail to knot at the end. 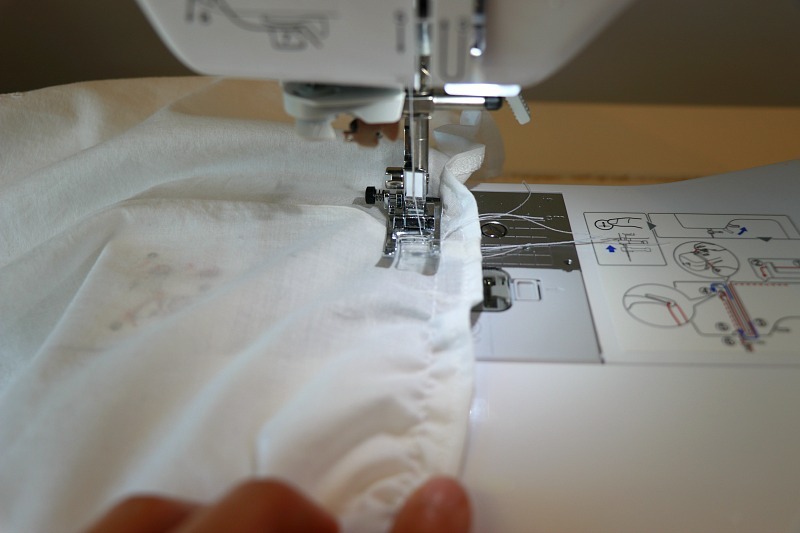 Start sewing until you get all the way around to the starting point. You will notice it already start to pucker. Move along to the next row. I didn't mark my rows which you typically do with shirring. I just lined the presser foot up to the edge of the previous stitch line and that worked great. It was a perfect space between (about 1/4"). Tip: If you run out of bobbin thread midway through a row, just knot that elastic thread off on the wrong side of the fabric. 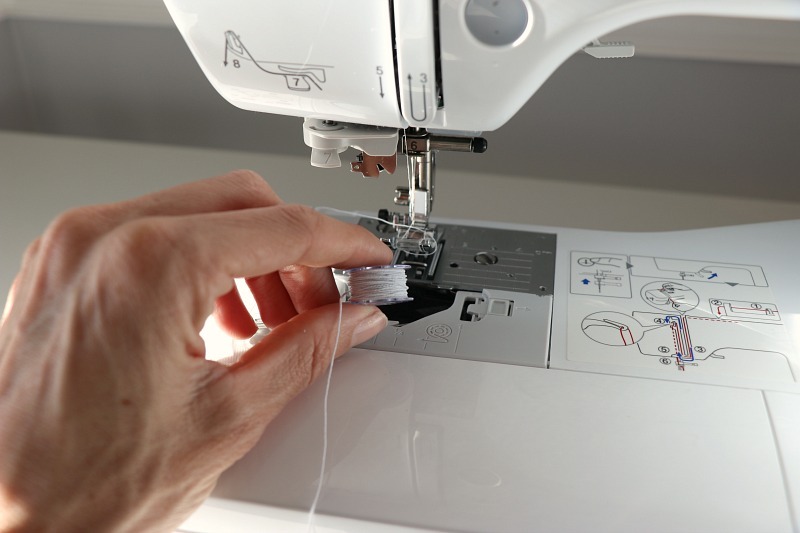 Re-thread your bobbin and continue sewing from that spot. Continue with the sewing. You will notice as you create more rows you will A) go through bobbins like crazy (hence why you should do a few before beginning). B) the more rows you sew the more effective the shirring is. C) sometimes folds will occur so I pull the fabric (when necessary) as I sew so I'm not creating unwanted pleats in the fabric. I did enough shirring to cover my bust area. Then knot the elastic threads together on the wrong side and trim down so you don't have long thread. Create sashes for the straps (like I did here) or use any type of trim/ribbon. 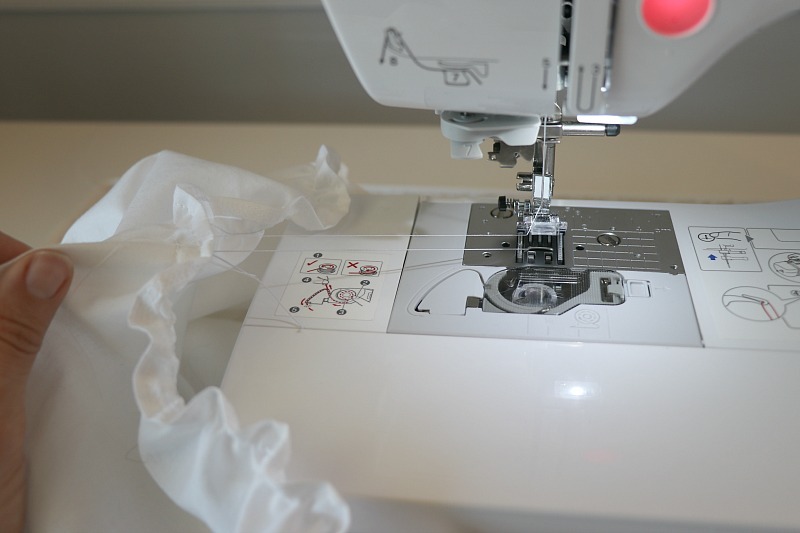 Try the tube on and position the straps to where you want them before sewing. Evenly place them front and back and pin into place. Top stitch the straps into place just along the hem stitches with an all-purpose thread and a standard stitch length (backstitch start/finish). Shirring is cute technique and can be used for many projects. Try this along a waistline, neckline, and even for a fitted bottom edge. So many options. Very nice! That is some beautiful incredible work. I am so inspired and can't wait to make this cute top. Thanks for sharing the great article. It has been some time of hovering and switching web pages like tv channels. But, I was never able to find a genuinely effective online assignment help Australia providing company until I came across your content. First of all, I would like to thank you already for the information you imparted, that too free of cost. There are a number of companies I have consulted in the past, but not even one of them gave me any sort of information before I paid the amount they asked me to. As of now, I am in the 4 semester of nursing and currently writing a case study. I look forward to seeking thesis or case study assignment help from Sample Assignment. I literally wasted my money investing it in other assignment help providers. I wish I had read this write up of yours a year ago and I could have been much more of an asset I am today. You guys have the give the students the option to pay half the amount at the beginning which I find in no other assignment, let alone, nursing assignment help provider. Keep up the good work, guys. You want to get reliable assignment help services? If you write a HD grade essay get a touch with our essay tippers and you'll find your real essay Assignment Helper! Great blog about the fashion.